Philips has been in the light bulb business for many years, and now it looks as though it's set on reinventing itself with the new OneSpace luminous lighting solution. 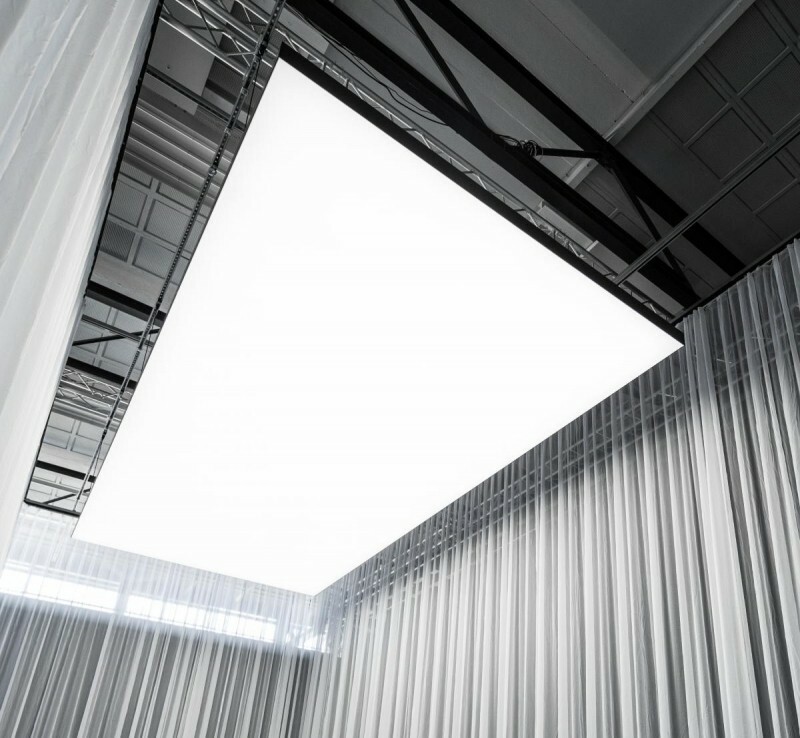 Designed to be built directly into a custom fitted drop ceiling, the OneSpace lighting panels are designed both as a new style of light source as much as being part of a Philips initiative to "re-think the ceiling" from scratch. OneSpace panels are made-to-measure and can be installed in many ways, the idea here is to effectively replace an entire room's ceiling with one or more OneSpace panels. "Philips OneSpace luminous ceiling is a made-to-measure panel that liberates you from the constraints of conventional ceiling design so you’re free to pursue uncluttered minimalistic visions"
According to Philips, the system is able to produce a soft, even light throughout a room and eliminate "shadows completely" by integrating LEDs with a textile in a 12cm thick panel. They give off glare-free LED light, designed to simulate natural conditions as much as possible. OneSpace scored 80+ out of 100 on the color rendering index chart that measures how lighting sources stack up against natural daylight. From the above image, the lighting appears to be extremely bright (and not soft), but according to reports there will also be warmer settings/models available for venues that require it. While in some ways this just seems like a newer version of those not-so attractive dropped ceiling tile treatments that are still lingering around, the glare-free feature is interesting and it is certainly a lot more elegant looking. There has been no pricing mentioned as of yet, reports say Philips is showcasing the new system at the Light + Building conference in Germany this week.